Encourage customers to chat with you and answer their questions straight from your website! Visitors who are browsing your website might have questions about your product. Don’t let them wait to find out the answers. 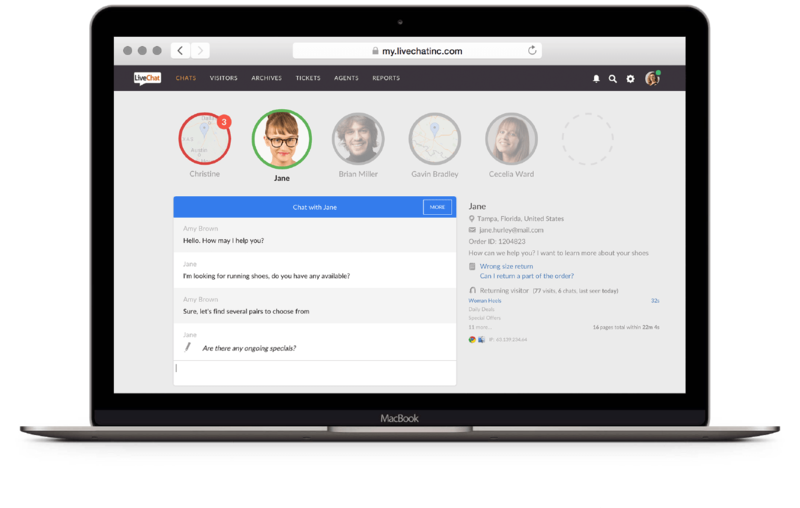 Install LiveChat's customer service software on your website and let customers reach you through chat. You can make the first step towards a conversation by inviting visitors to chat. Send them a greeting so they know you’re right there, ready to help – only one click away. Sometimes visitors are not sure if they want to buy your product. One question can dispel their doubts. By giving them the possibility to get the answers right away, you can boost conversion even up to 485%. LiveChat provides better customer satisfaction for visitors than phone or email. It’s because you can chat with multiple visitors at the same time. That makes it the quickest customer service channel ever. Use the mobile app to talk with visitors wherever you are. You won’t lose any leads and you will grow your sales in no time. Chatting with customers can be challenging sometimes. You can learn LiveChat etiquette and find out how to best talk with customers, solve their cases and handle them when they’re angry. You don’t have to put in the time to learn LiveChat. Chatting is as simple as having a real conversation with a customer. The application is user–friendly so you don’t need to put hours into learning it. You can start providing customer service right away. LiveChat’s help desk software has been built into the live chat application, so you can provide service without leaving it. Customize LiveChat so it fits your website design. You can choose from a range of colors and chat window looks. See what works best and make your website more personalized than ever. To start using LiveChat, all you need is to add the installation code to your website. It takes only a few minutes. Then, you’re all set to talk to your visitors. Good luck! Install chat, it takes only a few minutes! 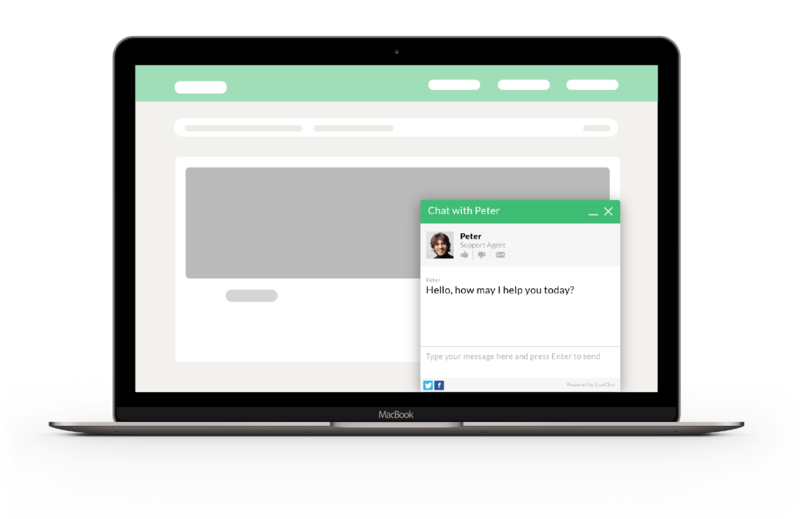 Get your free, 30-day LiveChat trial and start chatting with your customers!